Learning about fire safety can be fun when you learn it with the Fire Safety Dogs! 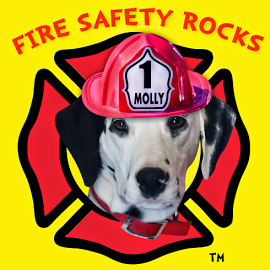 Tango, Siren and Molly are not only members of their local fire department, but mascots for the Keep Kids Fire Safe Foundation. They love helping keep children and their caregiver’s fire safe! Known for her red toenails and constant wagging tail, Sparkles the Fire Safety Dog dedicated her life to helping save the lives of children and their families. 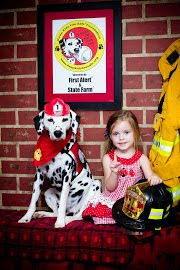 A 2010 USA Today Hero Dog, Sparkles was adopted in 2003 by Firefighter Dayna Hilton and her family from the Dalmatian Assistance League in Tulsa, Oklahoma. Sparkles was one of 63 dogs rescued from a home in 2002. 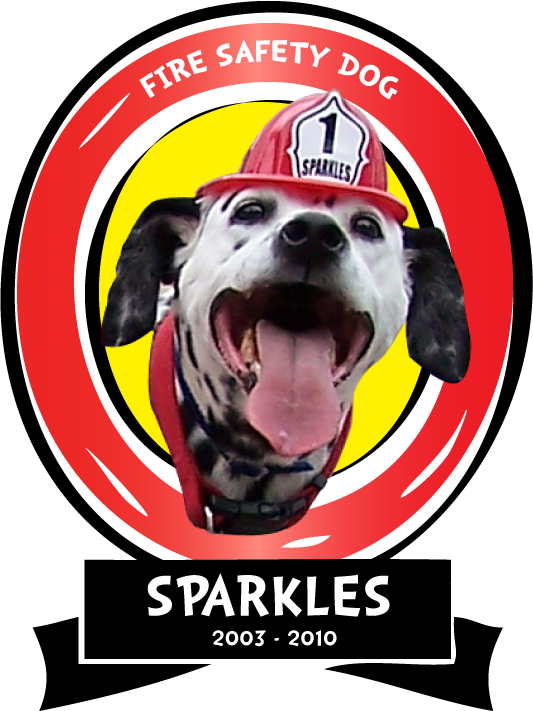 An invaluable member of the fire service, Sparkles helped spread the fire safety message through her fire department, Keep Kids Fire Safe® Foundation, and the 24-hour preschool television channel, PBS KIDS Sprout, reaching millions of children and their caregivers. 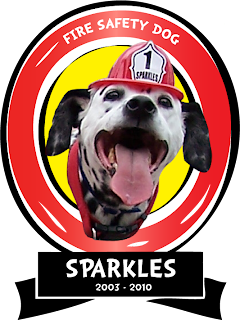 Sparkles assisted her department's firefighters and the foundation with hundreds of fire safety programs on the local, state and national level. Fire safety educators, friends and families across the world mourned the loss of Sparkles the Fire Safety Dog, when she passed away in October 2010. 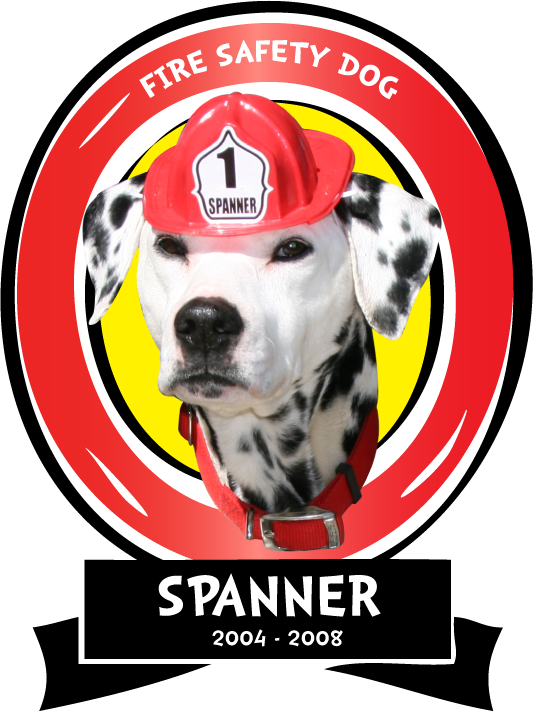 Found on the side of the road in the Tulsa area, Spanner was the second edition to the team of Fire Safety Dogs and was adopted in May 2004. Known for her "Ghost" face (no spots on her face), Spanner loved children, especially the toddlers. No child was too small for Spanner and she LOVED getting hugs from all ages. Spanner and Sparkles' hit it off perfectly the very first time they met. Perhaps it was the fact that they were "kindred spirits," both rescued and adopted. 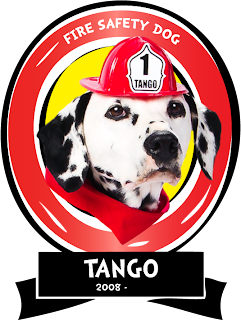 Tango is the only Fire Safety Dog that has known all the Fire Safety Dogs. 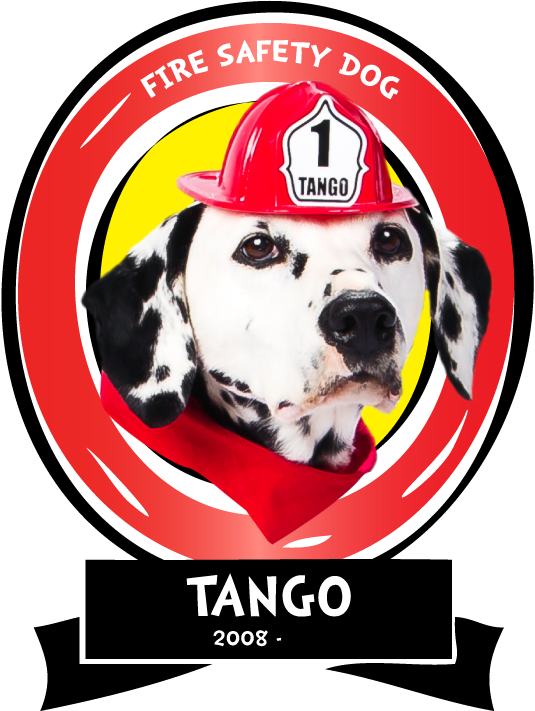 A Champion Dalmatian and born one month before 9/11, Tango was given to Firefighter Dayna to help with her fire safety programming. Retired from public appearances in November 2012, Tango is enjoying a life filled with toys, playtime in the yard and helping train Molly and Siren. Born in 2010 with a crooked tail, Siren considers himself unique and proud of the way he looks. His tail points the way to being safe! Siren has baby blue eyes and loves getting in front of a camera. 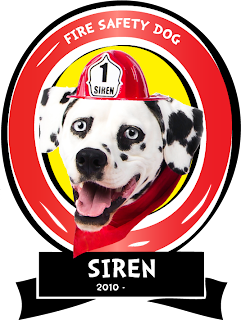 At just 40 pounds, Siren is the smallest of the Fire Safety Dogs, but he has a big heart. When Siren looks at you, your heart can’t help but melt! Siren made his first TV appearance on FOX25 Boston at 9 weeks old. He learned how to perform various tricks to show children what to do to help keep them safe. He loves to skateboard and play in the water. Born July 2, 2012, Molly spent her 8th week of life during Hurricane Issac and moved to Arkansas with Firefighter Dayna while 9 weeks old. While still a very young pup, Molly made it into her very first magazine. 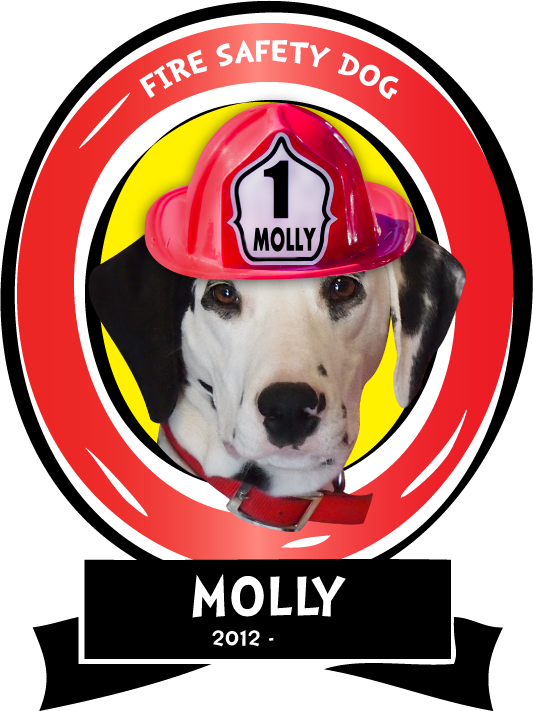 A quick learner and quite the charmer, Molly is training to take over the reins of the Fire Safety Team. To date, Molly knows about 50 tricks, including knowing how to play the piano, paint, and open the refrigerator. Molly has Skyped with children from two countries and is looking forward to becoming a full-fledged Fire Safety Dog.